Tax season can be stressful for some taxpayers, but for those who will be receiving a large refund, it can feel like winning the lottery. When deciding what you are going to do with this financial windfall, have you considered buying a used car? Buying a used car with a tax refund is a smart choice if you have been considering making a car purchase in the New Year. For many people, the tax refund is like free money from the sky – and it can be tempting to splurge on non-essential items or a vacation. While this is well and good, putting that money toward a used car is probably a wiser investment for the long term. There’s always next year for that vacation. A used car is a reliable machine. It has already proven itself over thousands of miles, and with proper care and maintenance can be trusted to keep going for the long haul. Of course, there are risks inherent to any car purchase, and since your used car will likely not be under warranty, you have to be extra careful when making that purchase. Getting the car from a trusted dealer is the best bet to ensure the reliability of your tax refund purchase. Used cars offer more bang for your buck than new cars do, generally speaking. In the past, used cars have had a reputation for unreliability at the sacrifice of paying a lower price. More recently, this trend has been changed by seeing more used cars staying on the road for up to 200,000 miles. Not only are they road-tested, but buying a used car from a reputable dealer ensures you are getting a great vehicle at a great bargain. Your interest rate on a car loan for a used car will be lower, resulting in a lower monthly payment. In addition, your insurance rate on a used car is likely to be lower than on a new car. Tweet: "These days a used car can be just as reliable as new." Let’s face it, although the bells and whistles change, the essence of a car remains the same. Four wheels, an engine, transmission, brakes – these are the important elements of a good car. Do the high-end features look nice? Of course. Are they useful and great to have? Absolutely. 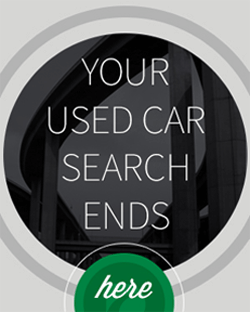 But when deciding to purchase a used car, you are making an investment in the basics. You may have to trade in a couple of the fancier features, but in return you get great savings and a great car. Trust us, we know that you want to put your tax refund toward some big purchases. A big new TV or a week long vacation both sound so tantalizing. 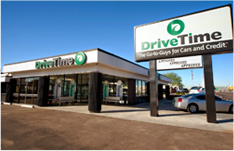 But getting the right used car means getting a reliable, affordable, and high performance machine at a great price, and with many of the same advantages as buying new. Not to mention the investment that you'd be making your tax return, that some day can pay you back when you trade-in or sell your car. Looking for more tips on how to do manage your taxes and personal finances in 2016? Get them delivered right to your inbox!